Have you gave up alcohol for lent? Well you can still enjoy the fruity and refreshing wine taste with this Riesling. I gave up caffeine for lent, but I don’t drink alcohol so I will go for ‘virgin’ options if I do fancy one on the odd occasion. This Riesling has a really refreshing and scrumptious taste, it does make me want to try other alcohol free wines. 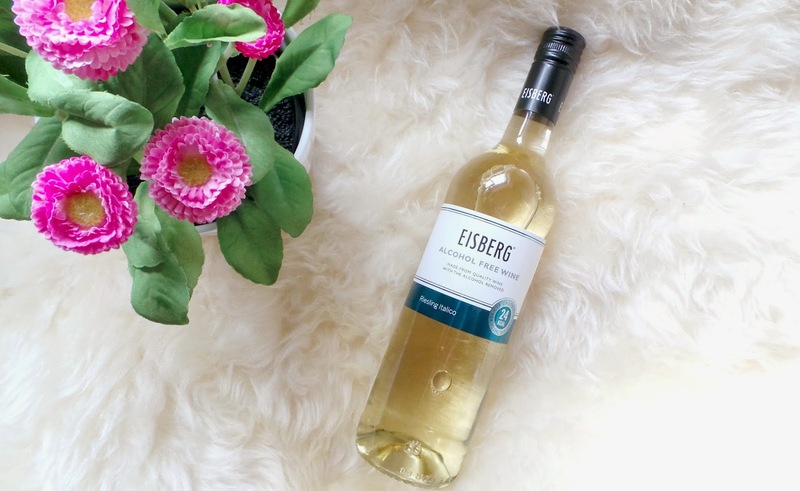 The Riesling is a white wine with honeyed aromas of rosy apples and juice melons, Eisberg who make the wine say this is best served with fish or chicken. This wine is also only 24 calories a glass so perfect if you are also trying to watch the waistline! It’s great for you guys who are starting to struggle after not having alcohol for 2 weeks and may need a little pick me up! It’s not cheating, I promise! Make it more interesting with some lemonade, vanilla bean syrup, pineapple juice and a lime wedge. You could also try elderflower cordial with a strawberry and crushed ice. Have you tried alcohol free wine before?